The Epicurean Food Hall between Abbey Street and Liffey Street has been going since 1999 and is now looking a little shabby. I’ve been there a few times over the years, usually to grab a bagel or a filled roll. I actually don’t mind shabby, as long as it’s reasonably clean. And it is. Reasonably. Just having a look at some reviews on the internet reminded me that the variety of food on offer in the Hall has reduced over the years. I hesitate to say that the place is in terminal decline but it’s definitely not the ‘hidden gem’ that it used to be referred to as a few years ago. The Hall’s own website domain has expired. As .com domains cost about €6.50 a year, that’s not a good sign and perhaps shows that whoever owns the Hall has either lost interest or lost their shirt. Yesterday at lunchtime, the young lad and I paid a visit. We were heading for a place in the Hall called Taco Taco, but we had a little look at what else was on offer. Not much for a fiver, I’m afraid. On the Liffey Street side, Burdocks had fish goujons, chips and a drink for a fiver. And there was a small portion of paella available for a little less, at the Abbey Street entrance. 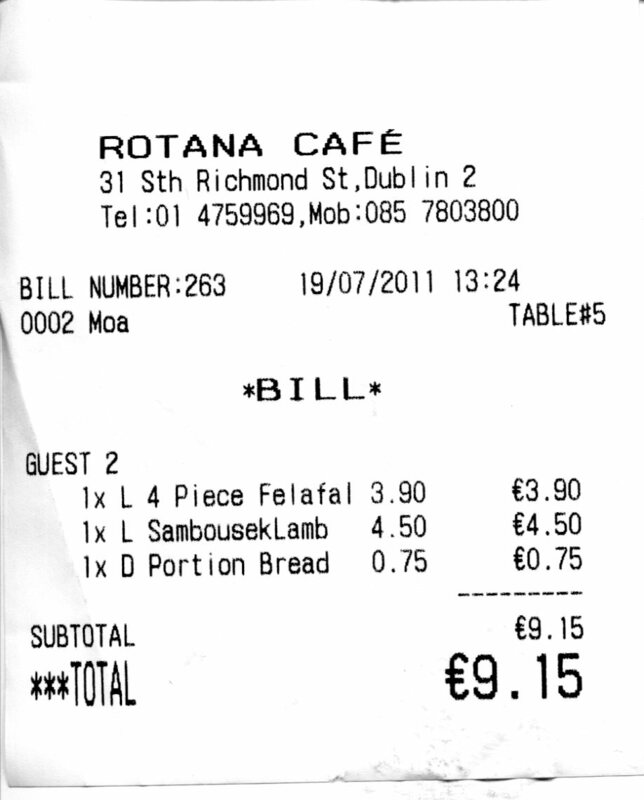 Most places seemed to have ‘all you can eat’ offers for about €9.50, with ‘small’ plates of food for €7. You could have your choice of Turkish/Mediterranean, Chinese/Thai, Italian and Greek. The small plates were very small but if you’re looking for a feed for a tenner, the €9.50 option in the Greek place looked like good value. Other stalls offered Brazilian food, hand-made burgers and baked potatoes. The bagel place is gone. 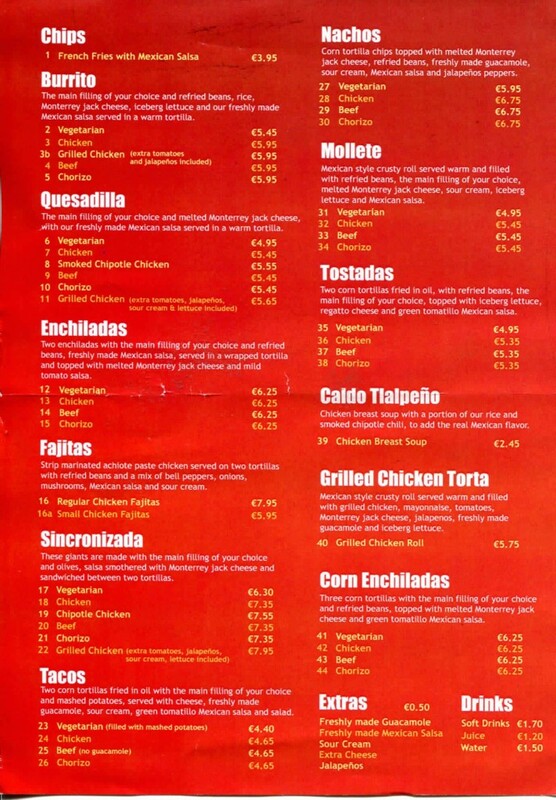 The options for a fiver are limited to tacos, vegetarian tostadas and vegetarian mollete. 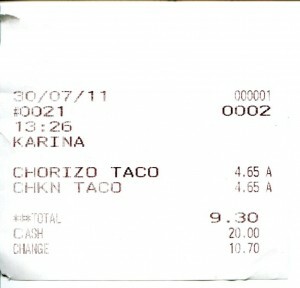 We went for the tacos, the young lad opting for chorizo and I for chicken. 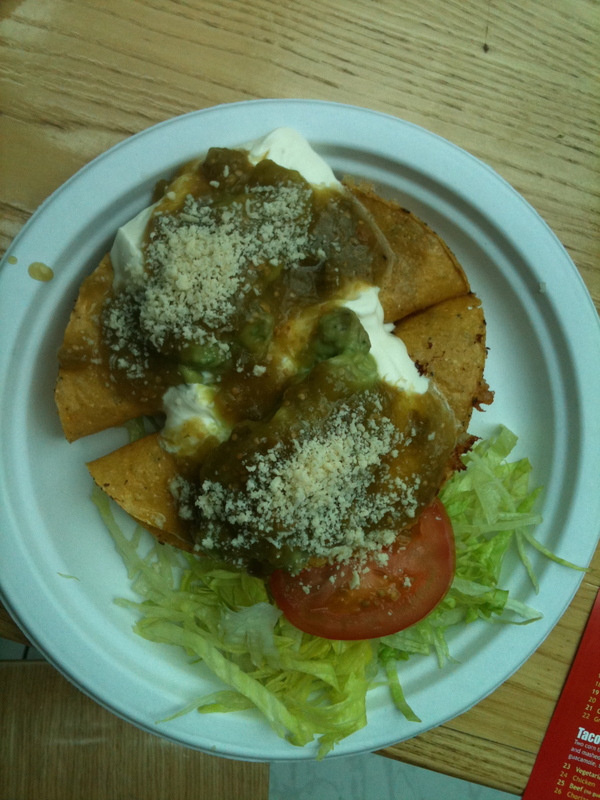 The tacos were … meh. I mean, they were OK, but a lot blander than I expected. The taco shells were crispy, which was good. The fillings were fine. The young lad was happy with his chorizo. My chicken tasted less of chicken than the oil it had been fried in. 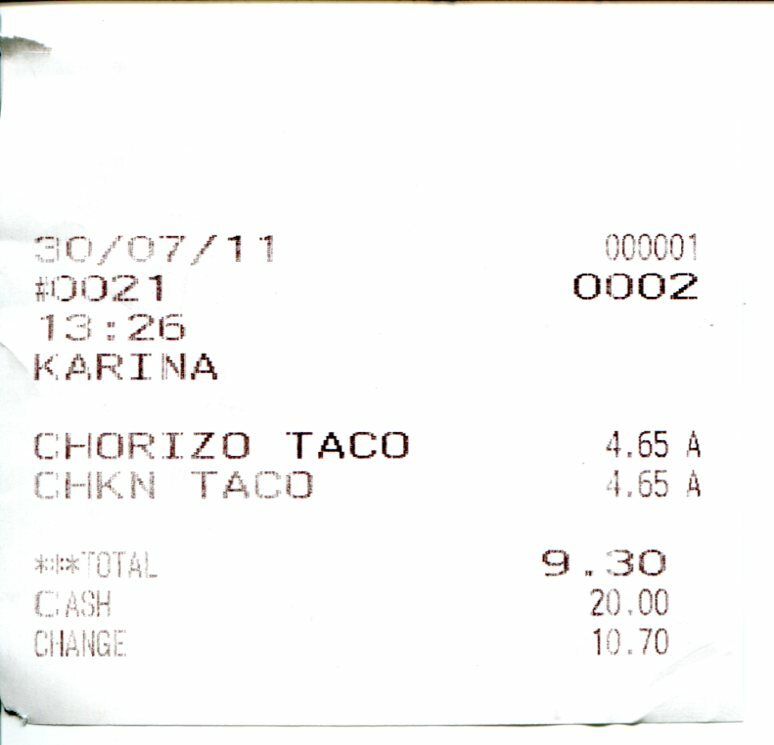 The tacos were covered in reasonable sour cream, rather insipid guacamole and, inexplicably (to me), a sprinkling of packet parmesan cheese. The garnish comprised shredded iceberg lettuce and a slice of tomato. No sign of the tomatillo Mexican salsa mentioned on the menu. Realistically, for €4.65 each these were fine and quite filling. I was just a little disappointed with the blandness. I hadn’t expected my head to be blown off but I had expected some heat. 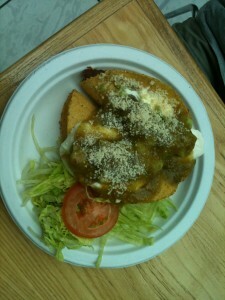 Then again, I’m no expert on Mexican food. Maybe we caught them on a bad day. Yesterday, the Epicurean Food Hall was busy, but not packed and we had no difficulty finding a vacant table. There were quite a few elderly American tourists and interestingly, not many children. I may be mistaken but I suppose many parents, in town on a Saturday, take the easy option of McDonalds or Burger King for lunch. Understandable, but a pity. I like IKEA. I like the ‘Would-ya-look-at-that’ factor. I like the sheer usefulness of many of the products. I like the fact that you can buy well designed and durable items there for half nothing. I like the fact that they have 18 different types of pillow and that they’ll take the time to help you to find the right one. I like it that young people maybe setting up home for the first time can furnish and equip a flat or house from there at reasonable cost. That’s not to say that it also sells a lot of stuff that I wouldn’t touch with a bargepole – but, you know, whatever. 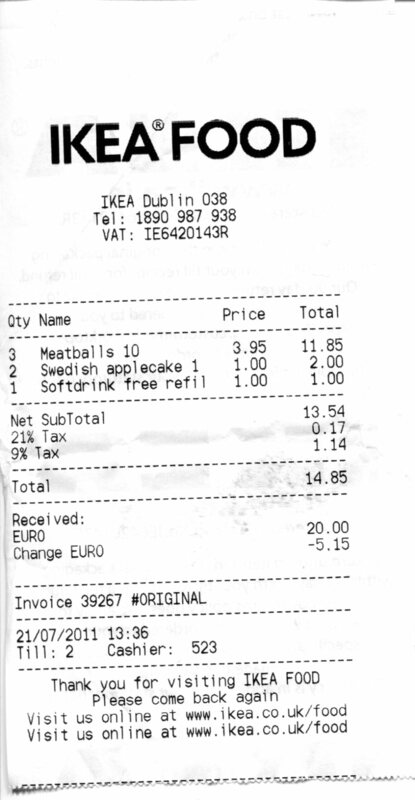 IKEA in Ballymun is massive. I went there at lunchtime today with the younger lad (E) and a friend of his (G) both of whom are doing a summer course in nearby DCU. It takes ages to get around the whole thing but luckily (or, more likely, by design) the restaurant is near the entrance, at the top of the escalator. 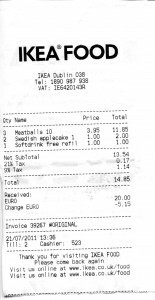 The guys both opted for 10 meatballs with gravy and chips (€3.95). 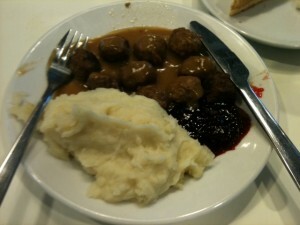 I had 10 meatballs with gravy, mash and a sweet berry sauce (same price). 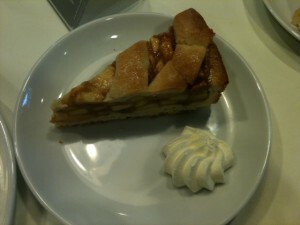 E and I also chose Swedish apple cake (€1!) while G went for a refillable soft drink (also €1). The verdict. 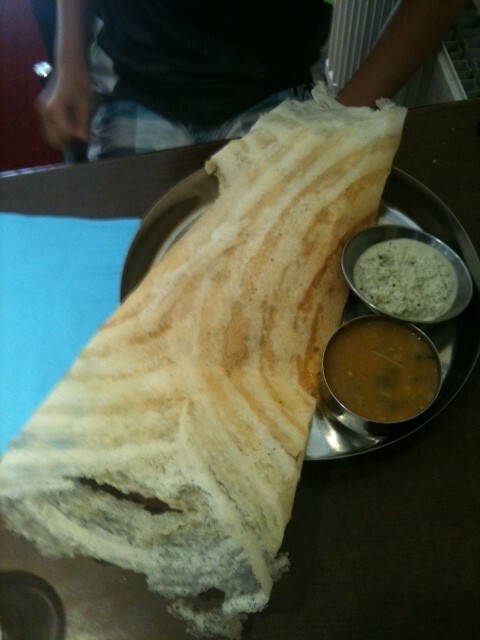 Well … it’s not fine dining but, to be fair, it was filling and tasted grand. 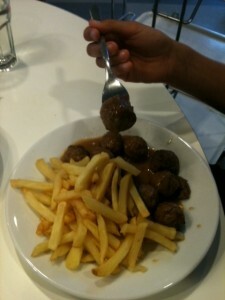 The meatballs were small but unmistakably meaty, and 10 is plenty. 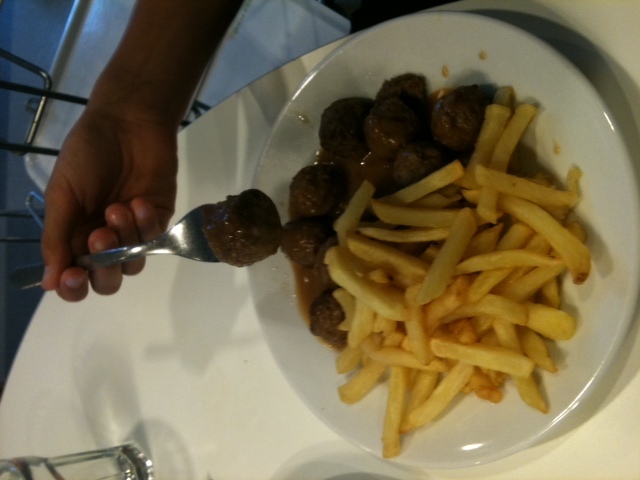 The gravy was a bit gloopy in a thickened-by-cornflour sort of way but ‘worked well with the meatballs’ (said E). 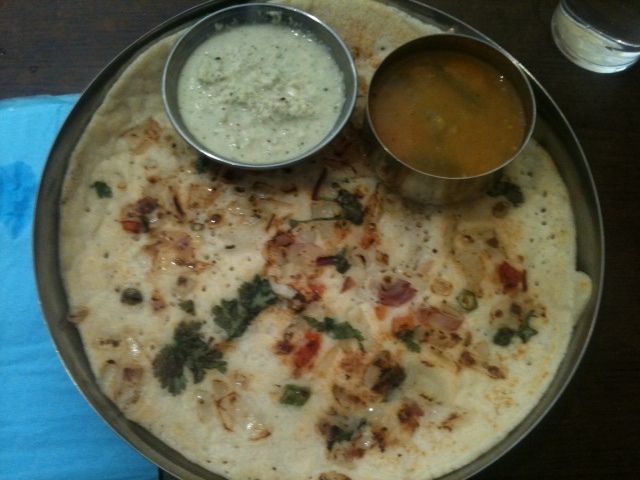 The mashed potato was surprisingly good, and the sauce was kind of jammy. 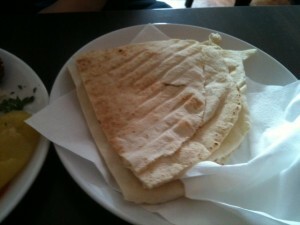 The chips looked as if they’d been out on a warming tray for a while and were ‘OK but not the best I’ve had’ (E again). E also made the point that the apple cake would have been better if it had been hot and, although the pastry was a bit stodgy, the apple filling comprised real apple pieces with a good sprinkling of cinnamon. 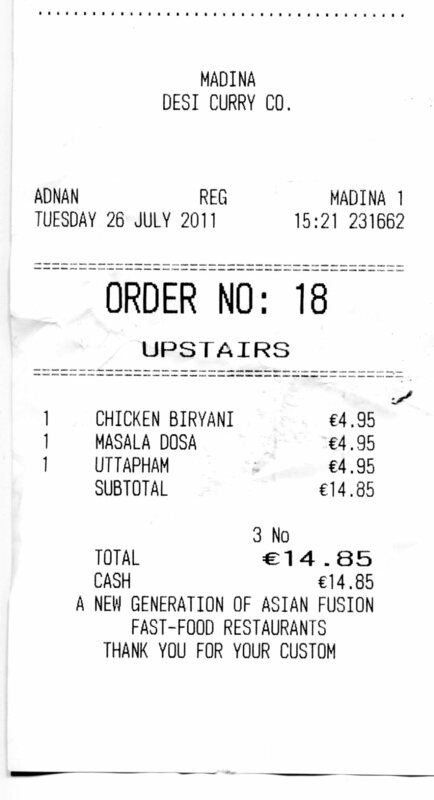 The boys were satisfied and so was I, and the bill for the 3 of us came to a pocket-warming €14.85. It’s a popular place to eat by the looks of it and it’s not difficult to see why. Downstairs, near the checkouts, is what they call their ‘Bistro’. In actual fact, it’s a fast food counter beside which are high tables. You can’t sit or perch and so it doesn’t fit my eatforafiver criteria. That said, however, you can get 2 hot dogs, a serving of chips, a refillable glass of a mineral and an ice cream in a cone, all for €3.45, which would fill a reasonably substantial gap. 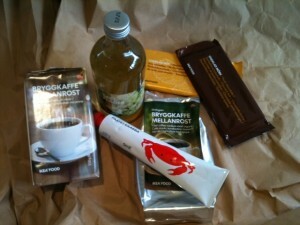 It’s almost impossible to leave IKEA without buying SOMETHING. Here’s the bunch of random items I got: coffee, crab paste, elderflower cordial, and chocolate. Why? I have no idea. IKEA is like that. South Richmond Street will be forever tattooed on my memory as the place where I had my first motorbike crash. I wasn’t hurt but the bike (a humble Yamaha 50) was wrecked. I wasn’t much of a motorbike rider anyway. That was 1979. I’m a bit older now but South Richmond Street doesn’t look all that different. 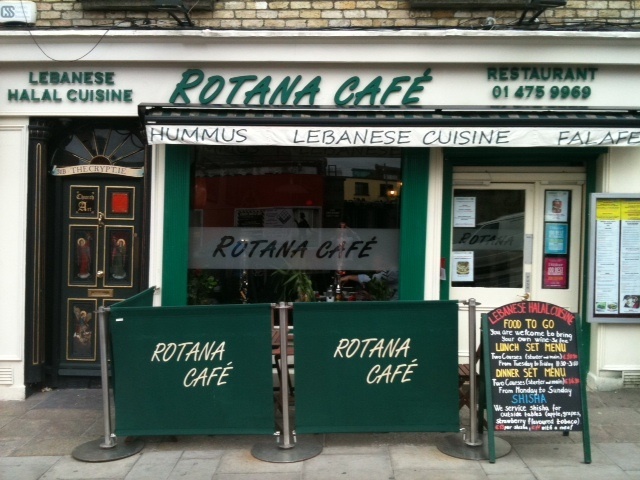 The Rotana Café is at the canal end, beside Christy Bird’s antique shop. I had thought of having lunch there yesterday, but it doesn’t open till 4.30pm on Mondays. Today at lunchtime, I was accompanied by son no. 1, a strapping lad who works out his aggression on the rugby pitch. He takes a lot of feeding so I thought he’d be a good measure of the fill-value of what we might order. Rotana, a Lebanese restaurant, is attractive and kind of homely on the inside. There were three tables occupied when we got there, by local office workers at a guess. Middle-Eastern music was playing and a very smiley waiter handed us menus. Having been tempted initially by the thought of a salad, the word ‘lamb’ caught my eye and I opted for a ‘Light Bite’ called Sambousek Lamb, at €4.50. 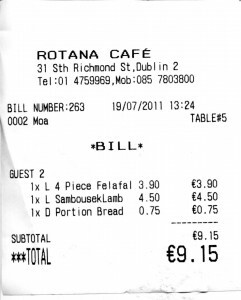 There was a Falafel Sandwich on the menu for €5.40, but Tom rather cleverly spotted that one could order 4 falafels with a side order of pitta bread for €4.65, and make one’s own falafel sandwich. And so that’s what he did. We also ordered tap water, which came in a nice stoppered bottle. 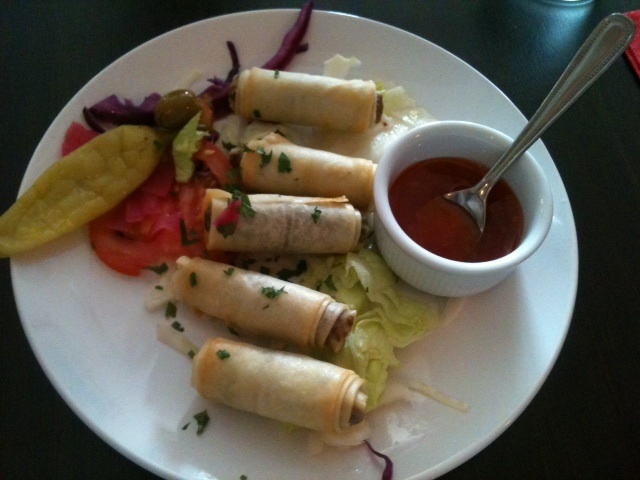 My Sambousek Lamb, as you’ll see, comprised 5 mini filo rolls stuffed with delicately spiced minced lamb. they came with a garnish and a small ramekin with commercially produced sweet chilli sauce. 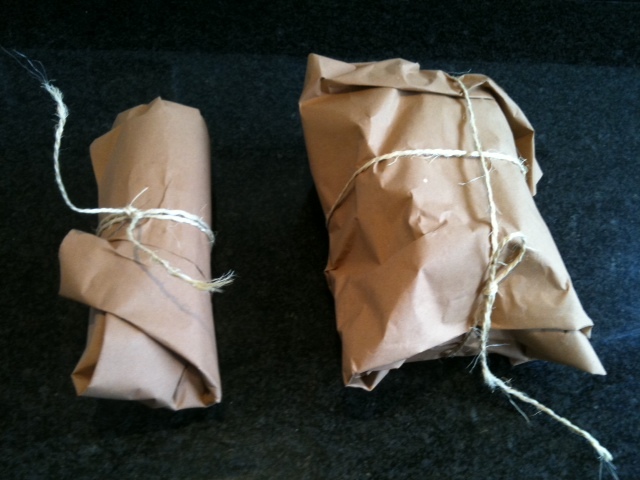 The rolls were tasty but the sauce was too sweet and overpowered the lamb. Something light and minty might have been better. Tom won out here. 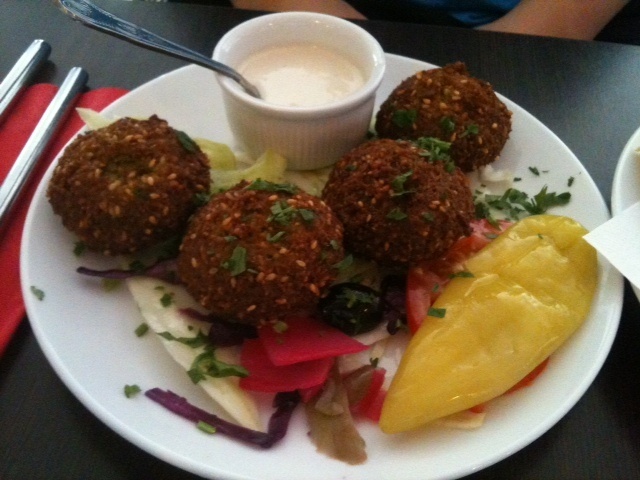 His falafel were substantial and came with a garnish and a thin tahini sauce. His pitta bread was plentiful and thin and he was able to combine the dishes to make some decent looking (and decent tasting) sandwiches. Tom, as I’ve said, takes a lot of feeding and he professed himself to be quite satisfied with the amount of food he received. And the bill? 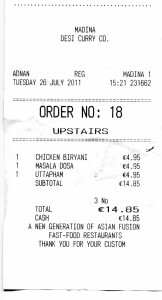 Light on the wallet at €9.15 for the two of us. Pretty good, although I have to say that I was a bit hungry later in the afternoon. Rotana is somewhere I’d like to return to at a later date perhaps free of the eatforafiver constraints. 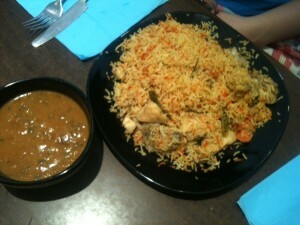 The regular menu selection is mouth-watering and they also offer Shisha, which I’d like to try. There are a few other restaurants/ eateries/ take-aways on South Richmond Street, including the Aprile, the first chipper I ever went to. Two places offer things like chicken shawarma and chips, or burger and chips, or other things and chips for a fiver but they don’t look that inviting or, it has to be said, that clean, which is a bit offputting. Down towards Kelly’s Corner, The Bernard Shaw pub offers a salad of the day for a fiver. This is a pub I want to visit soon and not just for the salad. I follow it on Twitter and it has an intriguing programme of music, theatre and art, and a rather enlightened view of the use of street art for promotion and politics. Right where the Rotana is now, there used to be another antique shop, specialising in old fireplaces. Soon after we had moved to our current house, I went in to have a browse. The prices seemed a little steep and I asked the man running the shop what I might get for £150. ‘F*ckin’ abuse’, was his considered response. I spotted this place a few weeks back when wandering down Moore Street. It’s nothing much to look at from outside. And it’s pretty plain inside too, but we weren’t there to look at the décor. 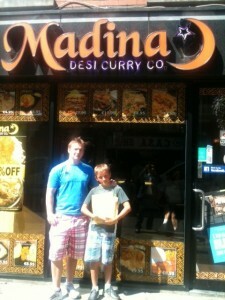 I had two places in mind for lunch and I gave the young lad the choice of streets. He chose Moore Street. Delhi O’Deli is about half way along Moore Street and it was reasonably full when we got there. Full mostly of people who looked as if they came from the Indian sub-continent. Delhi O’Deli is a vegetarian restaurant and you’d be hard pressed to find anything on the menu that costs over a fiver, so we’ll be back to try out some other goodies in the future. We went for the Daily Fiver dishes. 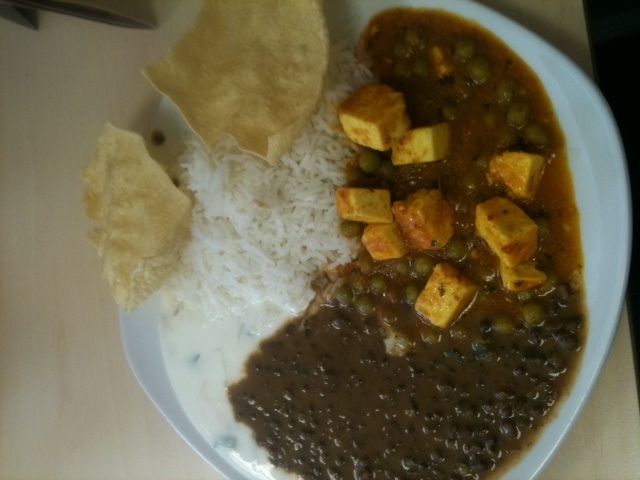 Each day the restaurant prepares a different set of dishes and, for a fiver, you can fill your plate with rice (a choice of plain basmati or pilau) and choose one or more of the dishes on offer. There is also a basket of poppadoms, some raita and jugs of water. Reasonably, there are notices up saying that you can have only one serving (meaning that you can’t keep loading up your plate) and that you can’t share. 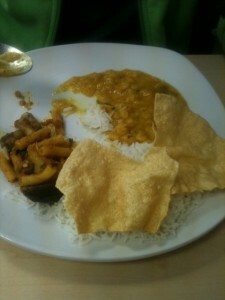 The young lad chose tarka dhal and a pasta-based curry. 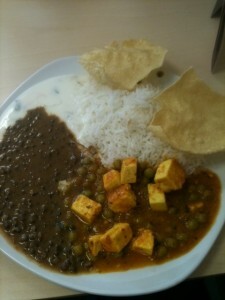 I had a moong dhal and mutter paneer. I don’t want to go overboard here but the food was very tasty, and not over-spiced in the way that some places go heavy on the chilli powder just to create heat. 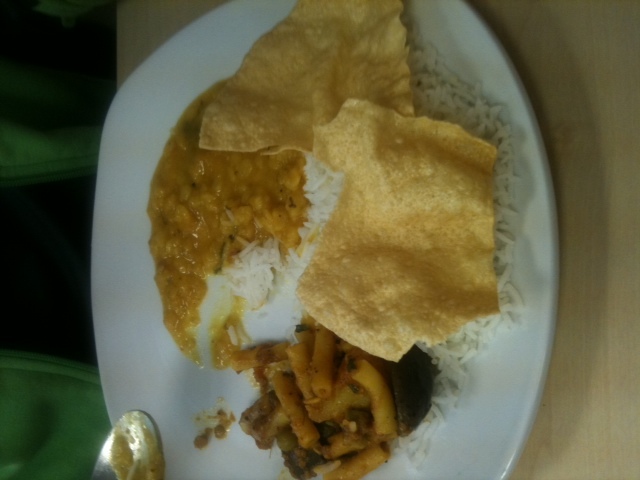 It was much tastier and far better cooked than a meal the spouse and I had in a much pricier Indian restaurant on Baggot Street a few evenings ago. It’s not a place to linger. It was very busy (we got there just after 1pm) and there were people queuing for tables, so we ate and left. I have to admit that it is an extraordinary and gratifying feeling to go to a till and hand over a tenner for lunch for two, and feel satisfied. Highly recommended. 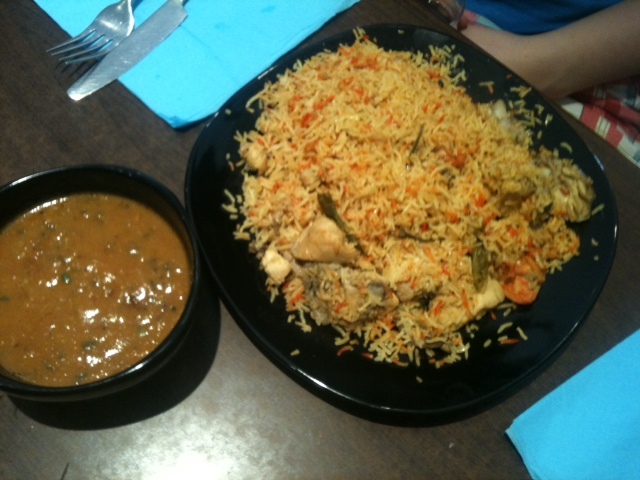 If you are looking for cheap, good value food, Moore Street seems to be well worth exploring. After lunch we went for a wander. A few doors up from Delhi O’Deli, we came across a Chinese fast food buffet place where you can pile your plate high for €4.99 (noted for a future post). A little further towards Parnell Street, a food sign caught my attention. We went in the door and down an escalator into the Moore Street Mall. Various mobile phone unlocking stalls, hair salons, eastern European grocery shops and THEN, a food court. While only one place will fulfil my current eatforafiver criterion, there was a line of buffet restaurants with ‘all you can eat’ offers from €5.99 to about €8. The eatforafiver contender is Balkan and I’ll visit it later in the summer. New day. 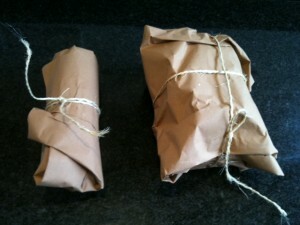 New blog. Cheap eats. Mainly in Dublin. Suggestions welcome. If you want to know what this is all about in a bit more detail, click on What this is about, above.